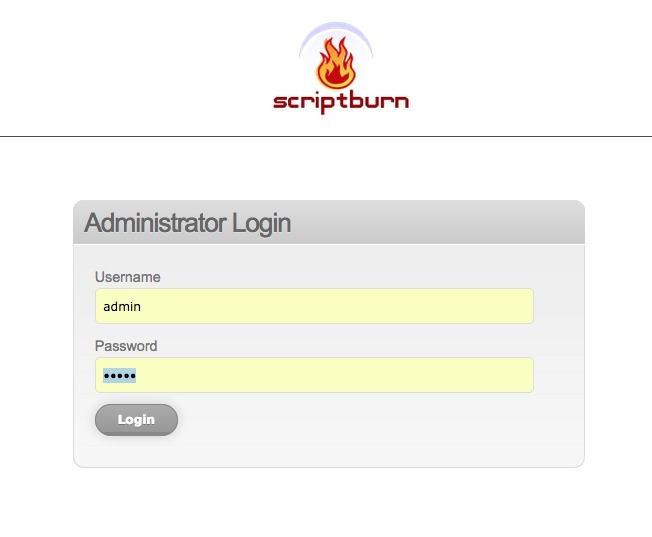 Login to your admin dashboard with email address and password. 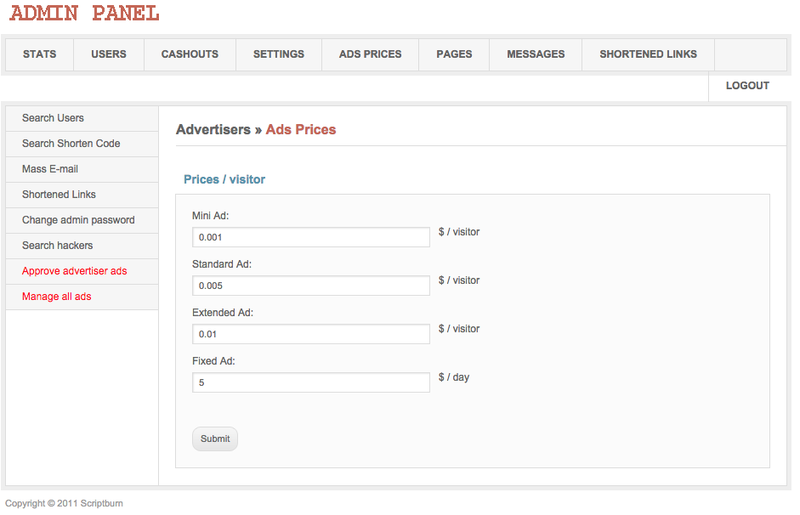 Setting prices for advertisement has never gotten any easier with the plugin. The page allows you to set prices for various advertisements depending on their nature. Once a price is set, advertisers are charged accordingly. The cash payment system is designed to be simple. Get a list of all stakeholders awaiting payment. Strategize and make decisions with the given options and watch how easy it becomes to manage your website. 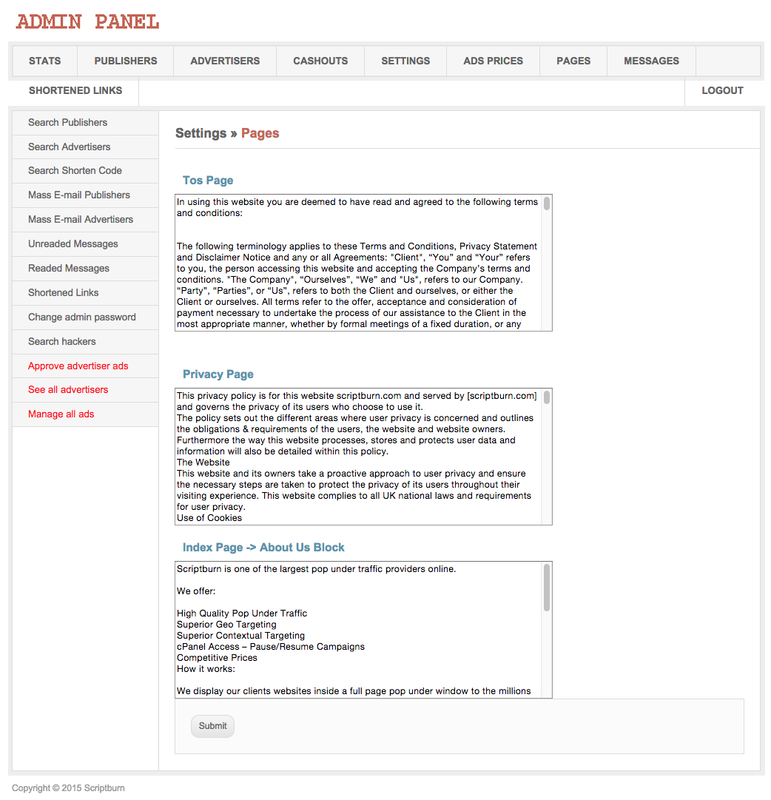 This page in the Admin Dashboard also allows you to manage all content in the front end of the website. Change text of your website in just one go. It’s that easy. 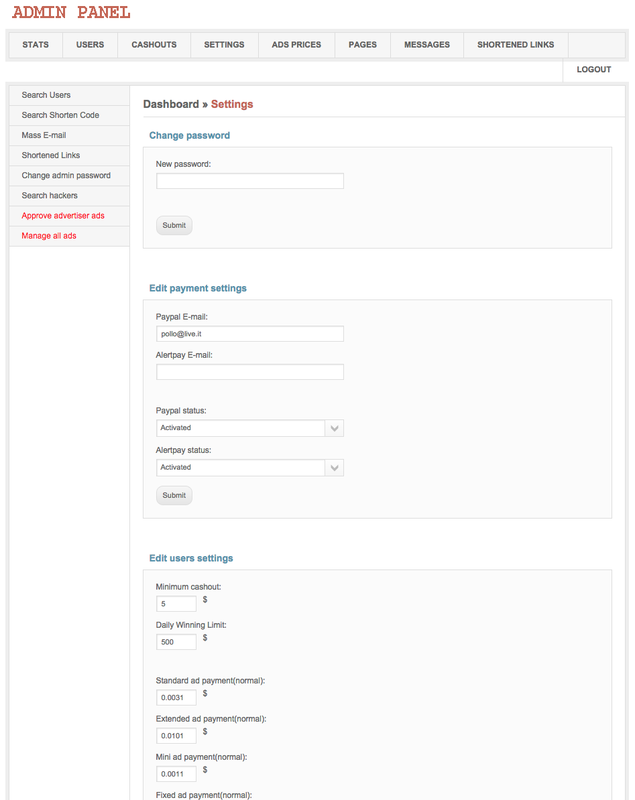 The Admin Settings allows you to change your account password or even change payment and user settings. 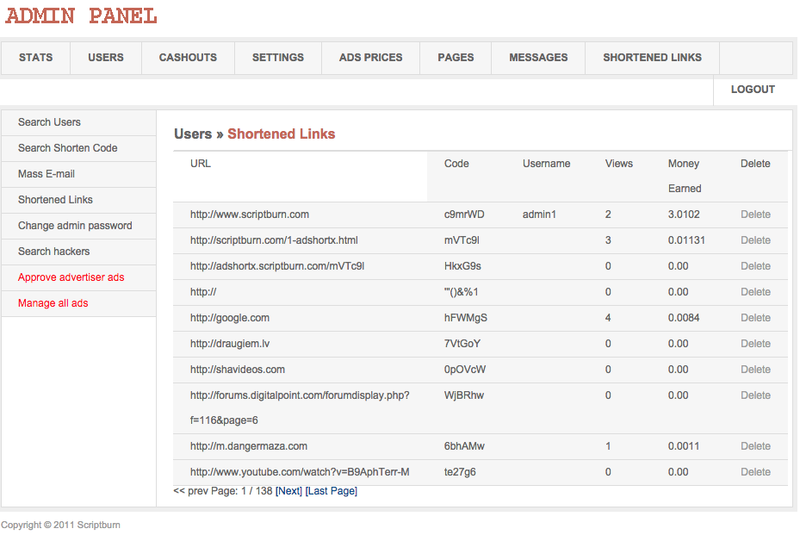 With the shortened link manager, you will have access to all the shortened links, their details and many more. 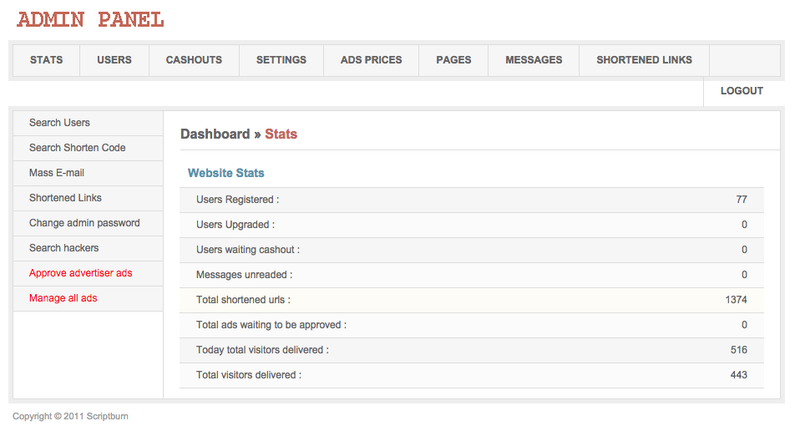 View statistics like click count, earnings, username, code. You also have the option to view, edit and delete each item on the list. 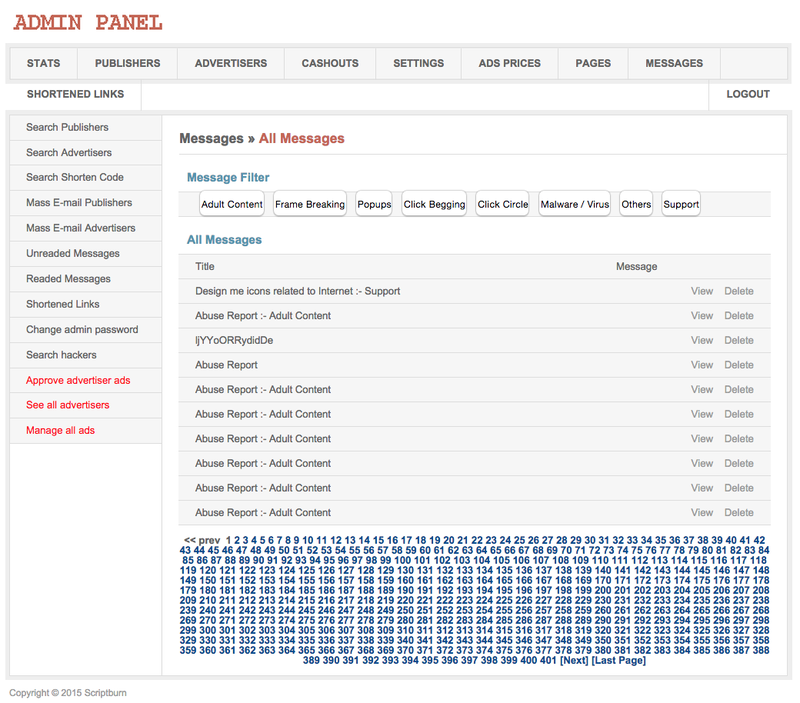 The Support Management allows you to view the messages you have received regarding your website service. It can either be complaint or suggestion – but the important thing is you have to be able to access it. That is what this admin option does best. 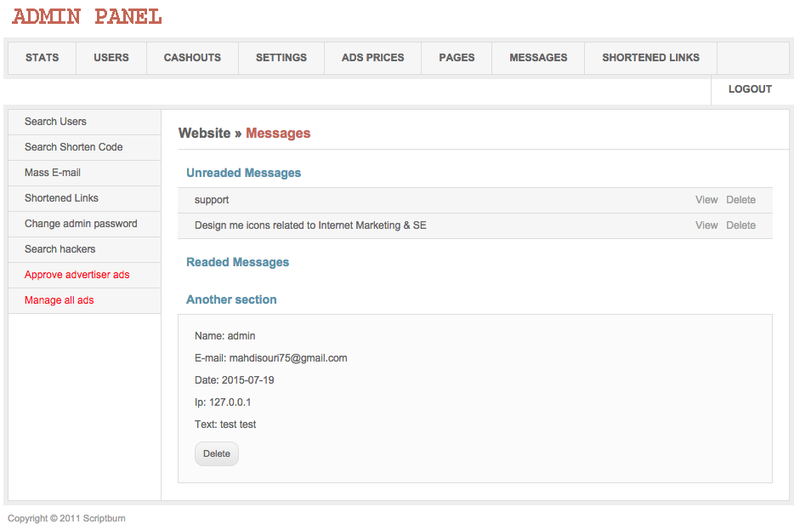 This dashboard feature lists all the users registered to your website. A clean interface and the ability to interact with each of the items listed – this feature just makes the entire experience of using the plugin better. There can be a lot of ads on your homepage and you have to be able to manage them properly. 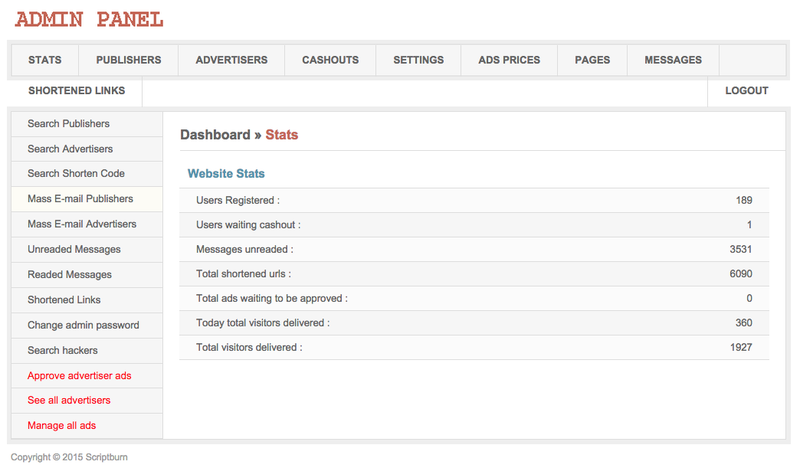 That is why, with this dashboard feature you will be able to add or remove the advertisements that are on your front page. With a few clicks you can delete or add the ads. This is the appearance of the home page. It’s clean, it’s sleek and can be customized to fit your need. 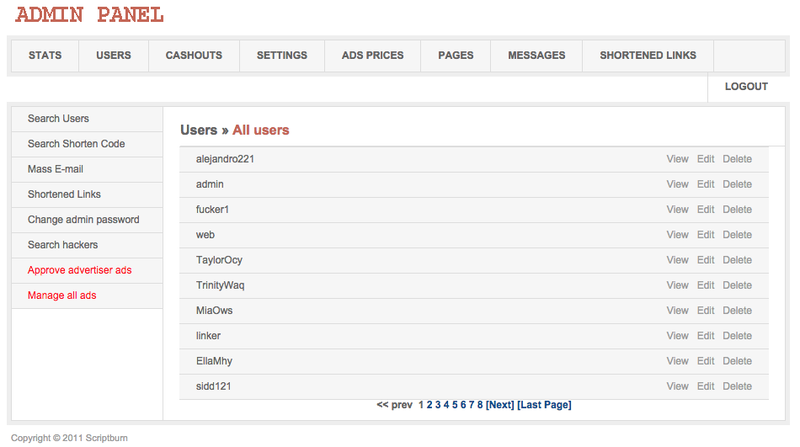 The front admin dashboard is feature packed. With very less hidden menus, the page offers a variety of information like expiry date, number of visitors balance, remaining balance, spent balance and so on just to make analysis easy for you. 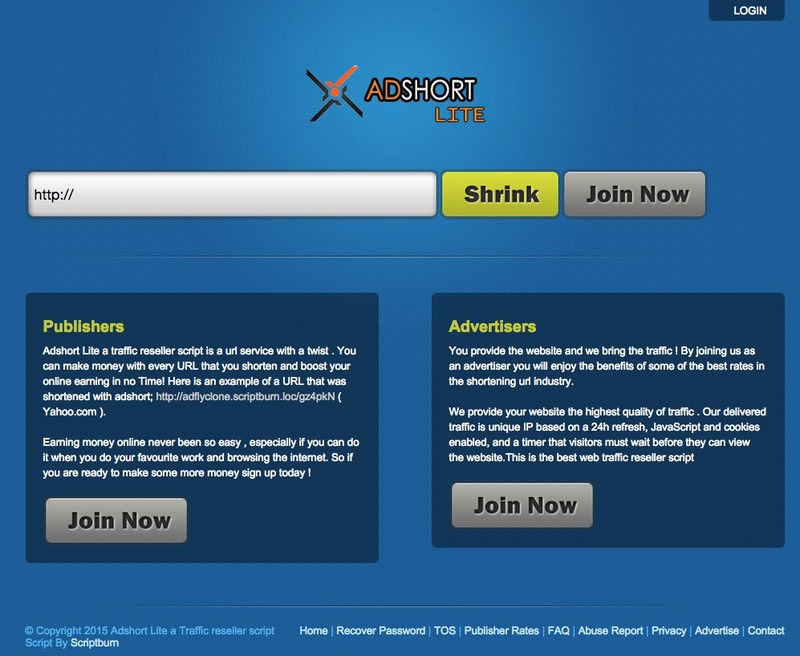 The most important feature of the website – URL shortener. Your gateway to great site management. 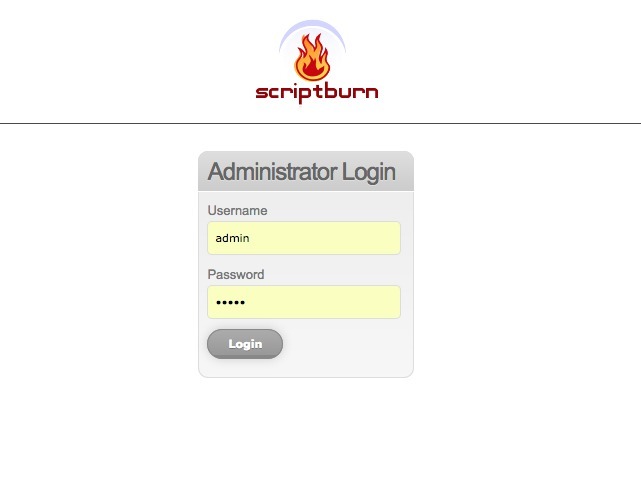 The login screen requires you to enter your email address and password. Resetting your password is also an easy few step process. 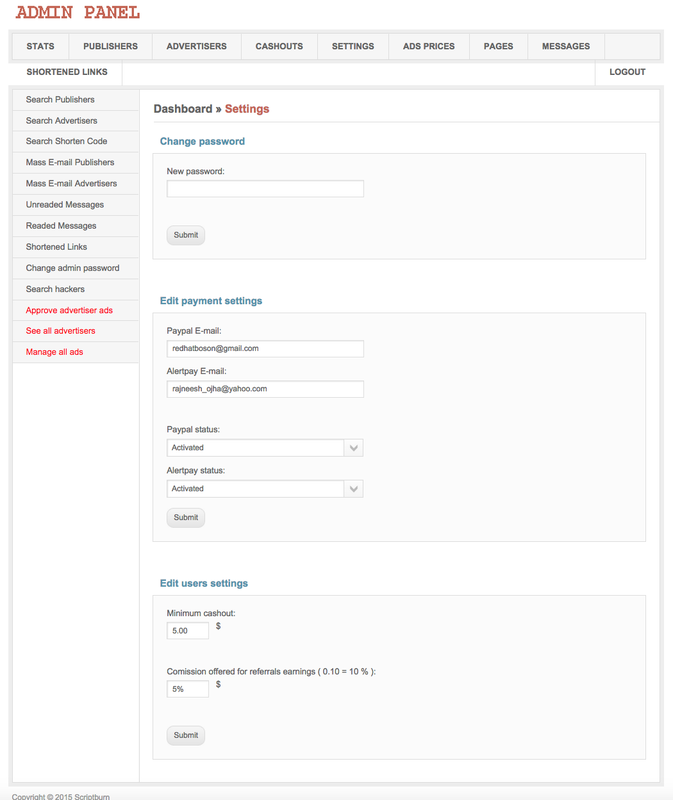 Through this settings page you will be able to make general changes to your website. Change your password or edit your payment options – those are just the settings to begin with. A lot of publishers sign up to your website every day. 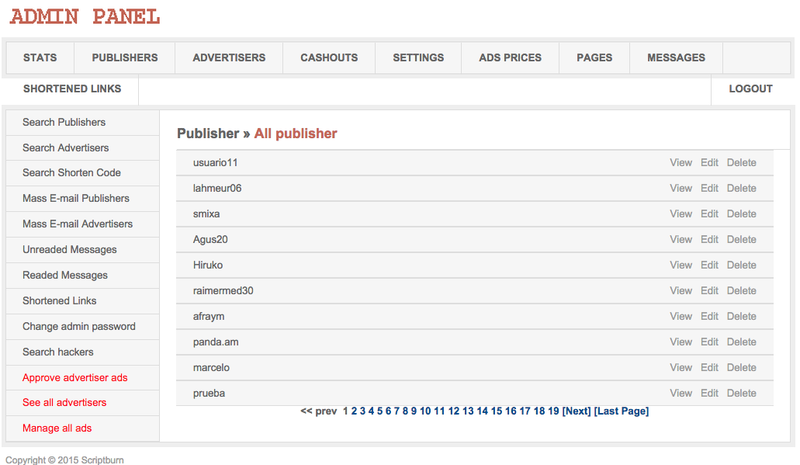 You can now view of list of people who the publishers are. After that, take action like viewing, editing or deleting the publisher. 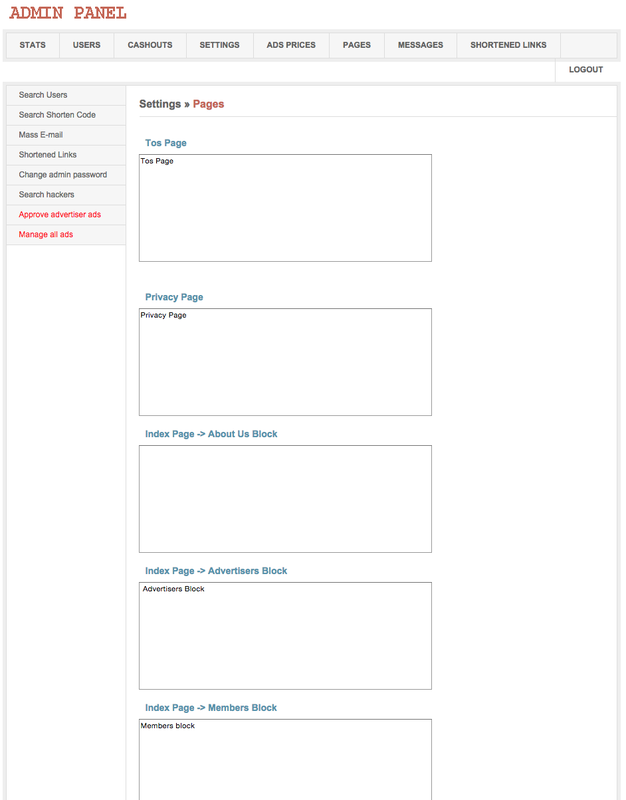 One of the best features to work with is the Front End Page Management. Through this page – change the content of your website entirely, time and again with ease and simplicity. You can change the text content for all the pages you need to. If your company invests a lot in Support and is pretty good at it – this is a feature not to be missed. You can define your very own support messages that you can interact with the customers with. 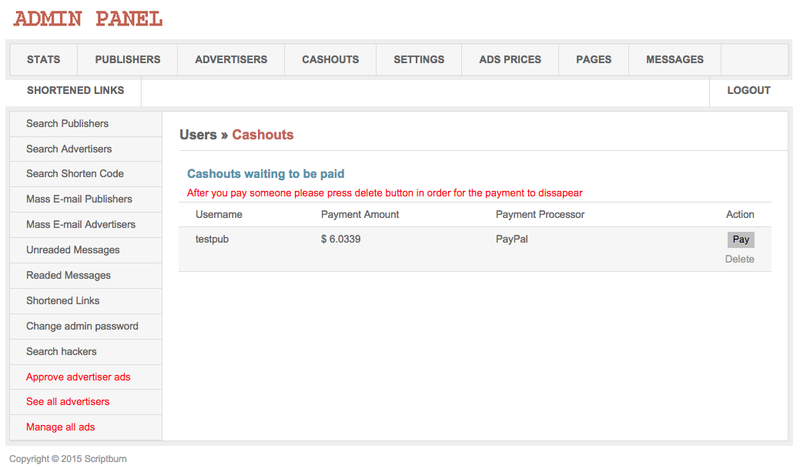 Through this screen you can access the list of users who are awaiting payment through PayPal. By clicking the Pay button and after few steps of confirmation and verification – you are done. Your user now receives the payment after this action is initiated. Advertising can be a great source of revenue – especially if you management it well. With this requirement in mind – we created the Advertiser’s management section that’s just easy to use and operate. In this page, view a list of advertisers and have the option to either edit their information or delete the advertiser from your database. One of the most important feature in this plugin – the Ad Price changer. 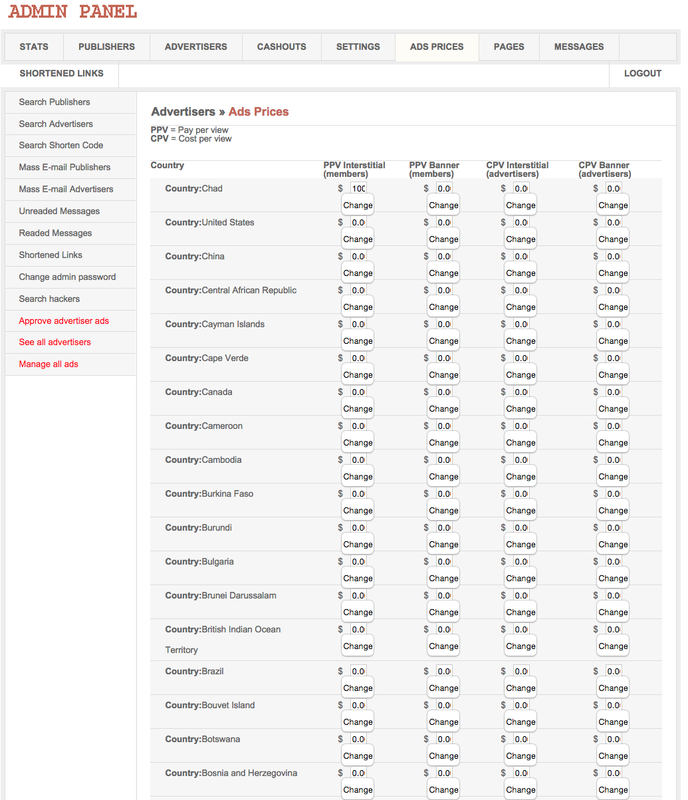 Through this page – view the current prices for ad categories and also edit according to your need. 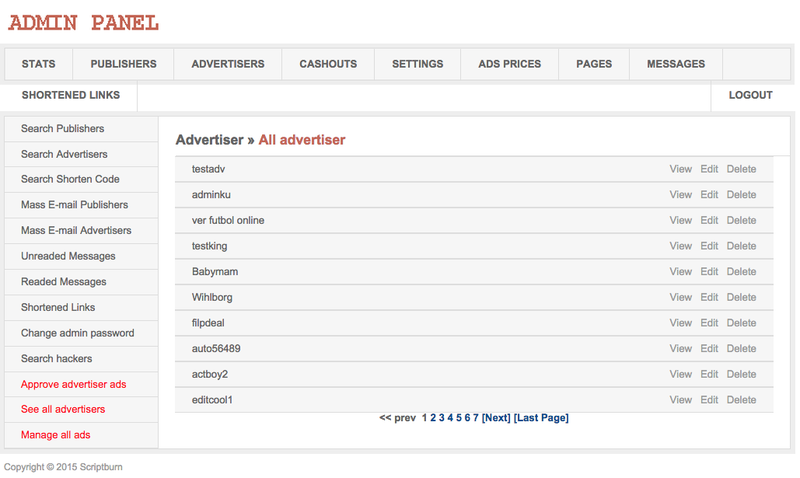 This is how your ad page will look like after displaying the advertisement.